Coherent Path is a digital platform that caters to large retailers like Macy’s and Walgreens. 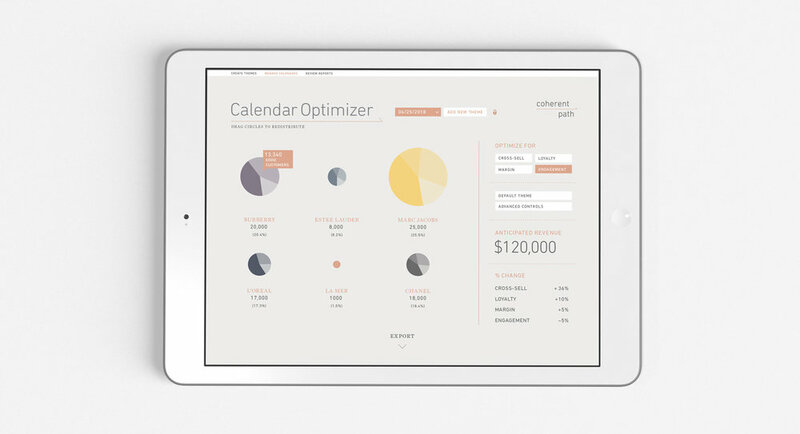 It analyzes their data and organizes their email marketing calendar to send more relevant emails to consumers. We designed Coherent Path’s new visual identity and product from start to finish. Throughout, we introduced visual and experiential hierarchy to transform a daunting and complex product into an app that is easy and enjoyable to use.